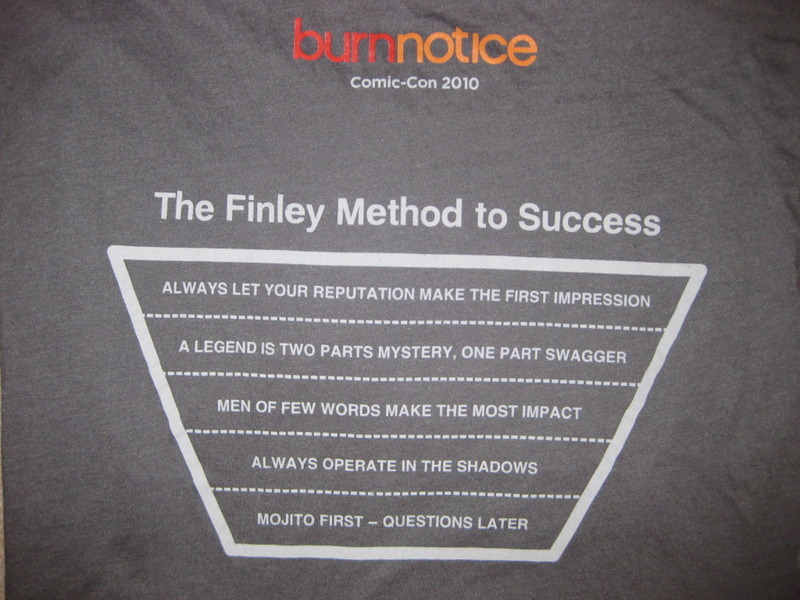 Burn Notice T-Shirt. Front of shirt has text "Finley. 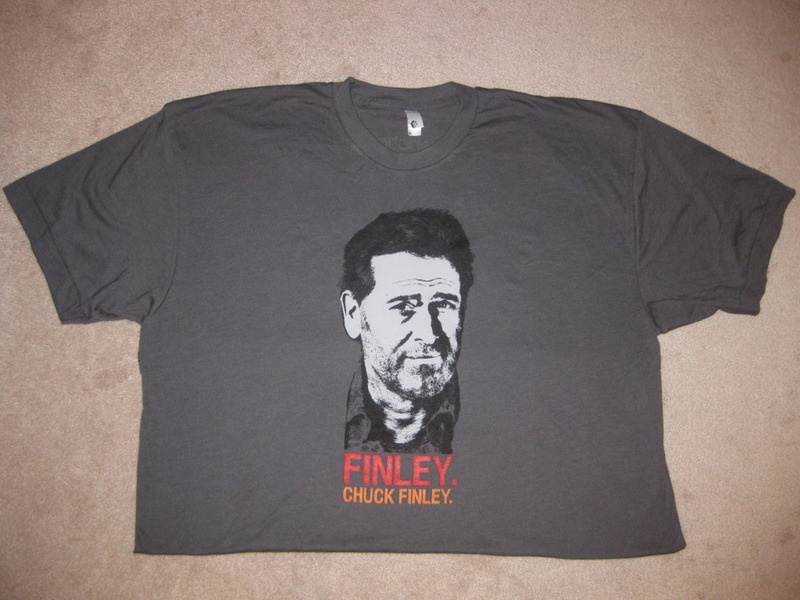 Chuck Finley." 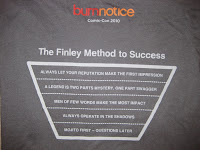 Back has a list for "The Finley Method to Success". Shirt is size XL.